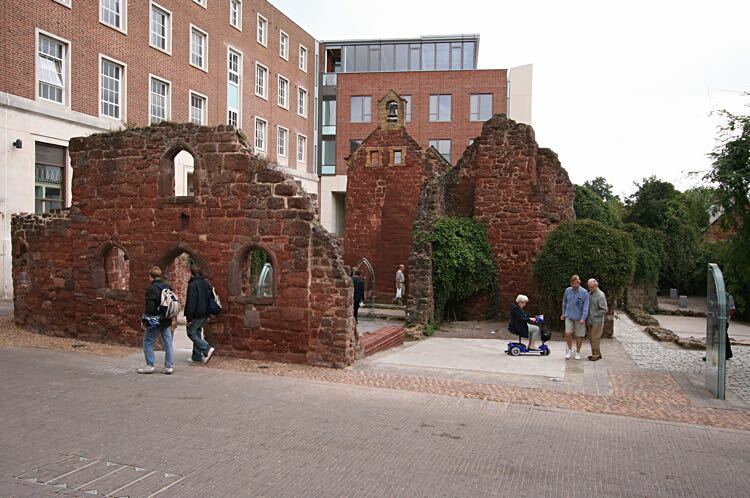 Ruins of St Catherine's Chapel and Almshouses, and the Country House Inn in Catherine Street are an interesting place to explore, and a memorial to the terrible night in May 1942, when Exeter suffered its biggest aerial bombardment of the Second War. Glass panels placed at the doors of the lost buildings, display artefacts that were found by archaeologist on the site. 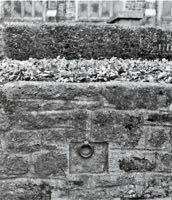 One lost feature of Catherine Street is the iron ring let into the wall, on the opposite side to the ruins, that marked the position of Catherine Gate. The gate was one of seven around Cathedral Close. After the murder in the Close, of the Precentor and Prebendary Walter Lechlade, on the 5 November 1283, due to a dispute between the Bishop, Peter Quivel and the Dean, John Pycot, the Bishop obtained permission from Edward I to surround the Close with a wall and seven gates. This was so the Close could be closed at night and opened at dawn, to prevent strangers entering, and causing further incidents during the night hours. 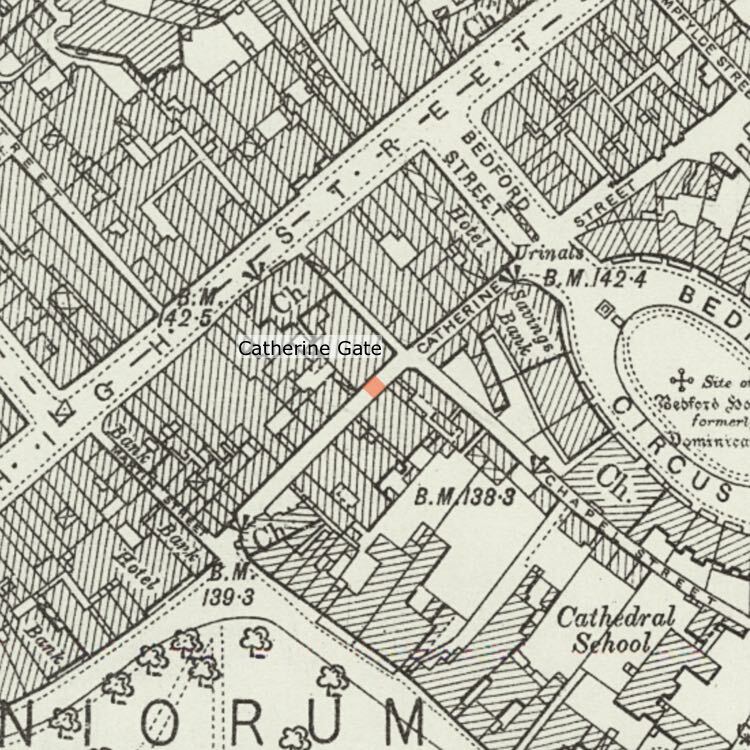 The boundary for the enclosure crossed Catherine Street by the Canonry, which later became the Country House Inn. On Annunciation Day 1286 (25 March), the Bishop and Mayor agreed to the enclosure and gates, one of which would be a postern, 8 ft wide, that would also be suitable for packhorses, positioned by the house of Canon Reg le Ercesveske. Initially, a simple arched gate was built across the street. The gate became known as Bickleigh-gate or Erceveske-gate. As the years rolled by, all the gates around the Close were repaired many times. 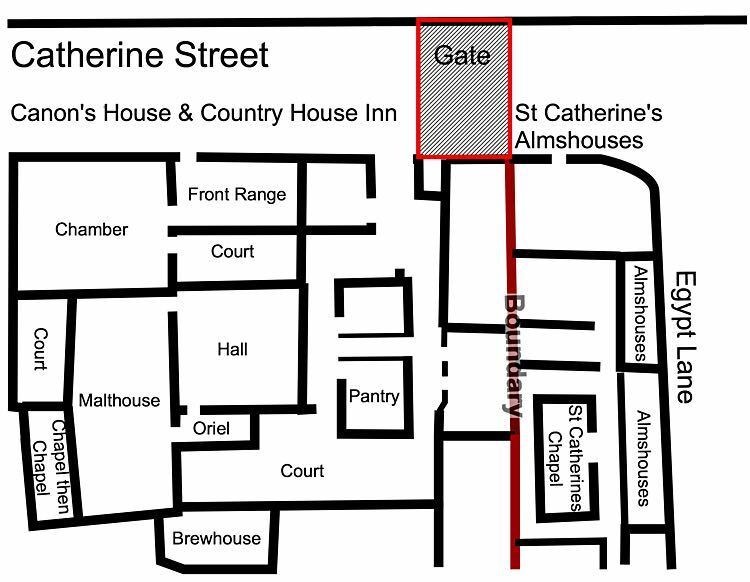 St Catherine’s Gate was built as substantial wall with an arched gap and gates. In 1662, Dr Hall and Mr Stephens inspected the gate with the intention of building a chamber over it, and “this may be done without nuisance to the houses adjacent”. Peter Gale was granted a lease and permission to build the chamber over the gate. 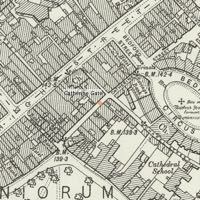 The Chapter noted in 1761 that the pavement outside St Catherine's Gate was to be repaired. 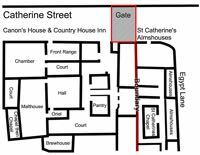 The security of the Close must have been questioned in 1812, because the Chapter ordered that the porter keep Broadgate and Catherine's Gate locked at night. By 1700, the Canonry had become tenements. The first reference to the old Canonry becoming the Country House Inn was in a lease of 1802. A covenant in an 1813 lease states that they were to "give up the chamber over the gate", indicating the gate, was attached to the front. Sources: Cathedral Archives, British Newspaper Archives. History of Exeter by Alexander Jenkins. 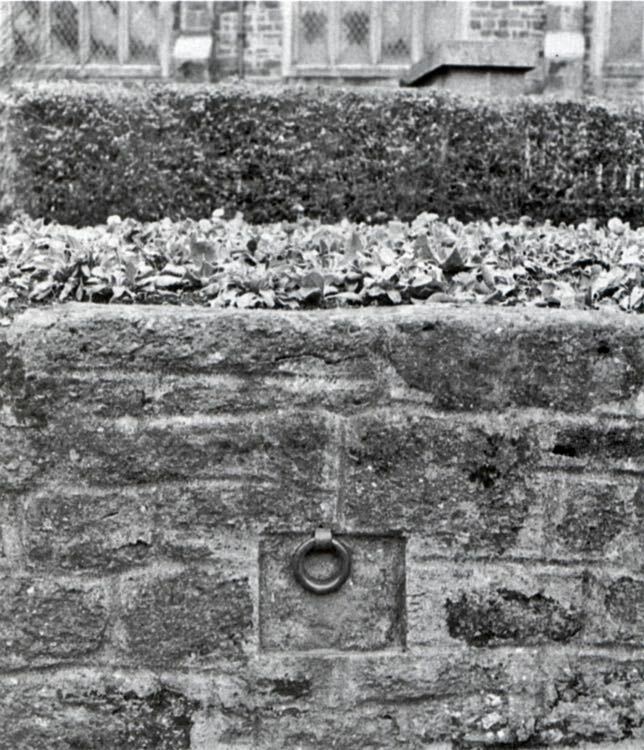 The ring in the wall at St Stephens Square before it was remodelled in 2008. Plan of the Almshouses and Canon's House with the gate marked in red. The position of the gate in red. 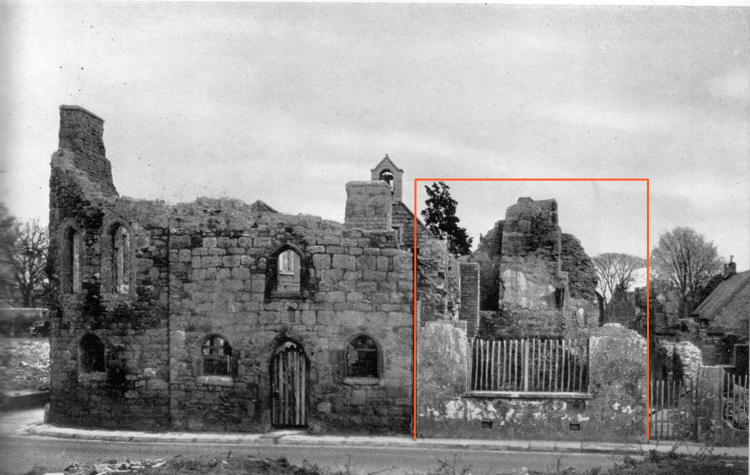 The ruins of the Country House Inn and St Catherine's Almshouses.